Early departure for Pamukkale. On the way visit to the 13th century Seljukian masterpiece Sultanhan Caravanserai and arrival in Konya. Lunch. After visiting the Mausoleum of Mevlana, the world-wide famous mystic, proceed to Karatay Theological School in which beautiful tiles are on display. Drive to Pamukkale and overnight. In the morning visit to the ancient Hierapolis with the Theatre, Apollo Temple and magnificent Necropolis, the graveyard. Then drive to Aphrodisias and lunch. Later visit to the ruins and the museum. Drive to Kusadasi and overnight.. Morning tour to Ephesus area with Ephesus Antique City (Hillside Houses are excluded), Temple of Artemis, one of the seven wonders of the ancient world; Virgin Mary’s House, Selcuk Ephesus Museum and St. John Church. Overnigt in Kusadasi.. 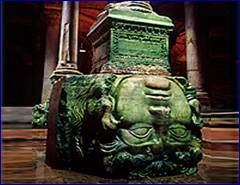 Early departure for Bergama and visit to the Asclepion and Acropol with the well preserved remains. Lunch and drive to Assos for a short visit to the village. Overnight at a simple but a cosy hotel in Assos or in Canakkale..
After breakfast drive to Troy, the place where the legendary Trojan War took place in the historical work of Homer of Smyrna. 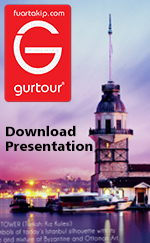 After visiting the site with nine inhabitation levels covering a period of 3000 years, drive to Canakkale and lunch. Thereafter sail to the other side of Dardanelles by a ferryboat and drive to Istanbul with visit to Gallipoli, historically famous for being the site of many battles - particularly involving the Allied Forces including Australians and New Zealanders during World War I. Arrival in Istanbul and transfer to the hotel . Overnight in Istanbul..